DESPITE the diverse opinions, the Mining Charter 3 reflects a picture that goes beyond its contents. Five elements highlight its background, complexity and value, and explain this wider reach. Firstly, questions are raised about the obsession there is with the charter. 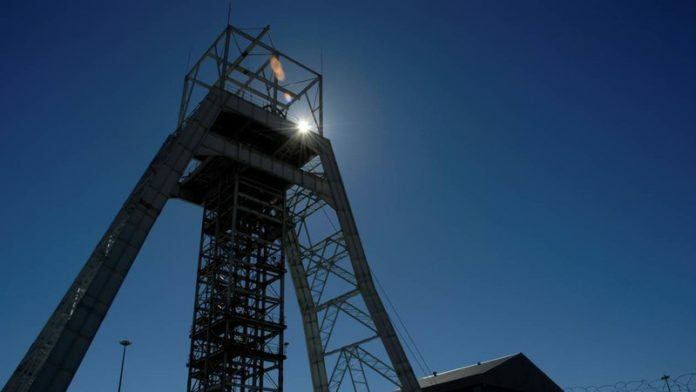 According to Advocate Sandile Nogxina, former Director-General of the Department of Mineral Resources (DMR) and now advisor to mines minister, Gwede Mantashe, this obsession is also about people wanting to know why the South African government focuses on mining to transform the country’s economy. According to Nogxina, this goes back to mining’s prominent past as an economic activity and to the fact that minerals symbolise wealth. Nogxina also contends that, apart from pollution and mining fatalities, expropriation was mining’s original sin. Moreover, the creation of a destructive migrant worker system and the concomitant under-development of rural areas as a side effect can also be attributed to mining. Furthermore, it’s stated in the ANC’s Freedom Charter that the minerals beneath the soil must be used to the advantage of all South Africans. In Nogxina’s view that explains why the charter has to connect social and economic issues, thus aiming to regulate social justice. Secondly, former mines minister Mosebenzi Zwane’s radical draft Mining Charter made it difficult for stakeholders to reach consensus on new content. Had the DMR deviated too much from the Zwane version, it would have strengthened the radical grouping within the ANC (and the EFF), which again would have fuelled resistance to Mantashe and President Cyril Ramaphosa. Radical elements in the Mining Charter had to be retained to compensate for concessions made, such as doing away with a dividend payment to employees and communities, also dispensing with employee representation on company boards, and acceptance of the principle of once empowered, always empowered. Radical elements retained include high empowerment targets for beneficiation and the procurement of goods and services using local suppliers. Also, mining companies are expected to assume various local government functions. Thirdly, the charter had to be a balancing act of race, for while the charter has to promote black economic empowerment, it is also committed to a non-racial mining sector which excludes no one because of race. For example, the share ownership plan includes all employees on an equal footing, and white females have once again been included in the definition of previously disadvantaged South Africans. In this balancing act, the government has upped the target for the appointment of females. Fourthly, the increased financial burden the Mining Charter puts on mining companies had to be presented as an “investment” that creates sustainability of mining communities brought about by stability in labour relations. Hence, this stability is “bought” by means of the 5% carried interest for employees and communities respectively, while upliftment projects also form part of creating stability. Provision for a so-called social wage in the charter will alleviate pressure on salary negotiations as it brings with it regulation in the form of directions about skills development, housing and living conditions for workers. The “return” should then come in the form of fewer strikes and protest action by mining communities. Finally, the past seven months’ negotiations have restored social cohesion between the DMR (government), Minerals Council of South Africa, trade unions, and in the end mining communities too. The mining sector is the only economic sector where formal structures exist within which dialogue can take place and parties can address issues jointly. This uniqueness was almost lost under Zwane but thanks to Mantashe and the charter negotiations it has now been restored. The end result is that, notwithstanding profound differences, stakeholders are once again aware of each other’s views and concerns, and have learnt to listen to each other. The process has also brought rivalling mining trade unions closer together.